The AANN CNRN Self-Assessment Exam is used to assess whether or not a candidate is prepared for the Certified Neuroscience Registered Nurse (CNRN) examination. Use the CNRN self-assessment exam as a pre-test to better understand your current knowledge as it applies to the certification and determine where additional studies are needed. The self-assessment examination is 75 questions in length and parallels the CNRN examination content outline. Please note: The self-assessment examination is not intended to replace studying for the credentialing of the examination. Your performance on the self-assessment examination will not guarantee results on the actual CNRN examination. The self-assessment examination is 75 questions in length, whereas the actual CNRN examination includes 220 questions, 20 of which are pretest items that are not scored. The self-assessment examination is not required to sit for the CNRN certification examination. Expiration: The self-assessment examination is only available for 30 days from the date launched on the Learning Managment System (LMS). Submitting the test before completion will trigger the exam results page and only allow you to view the test in Preview Mode with no additional scores or test attempts. 1. 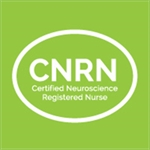 Determine whether they’re prepared to take the Certified Neuroscience Registered Nurse (CNRN) examination. The self-assessment examination is not intended to replace studying for the credentialing of the examination. Your performance on the self-assessment examination will not guarantee results on the actual CNRN examination. The self-assessment examination is 75 questions in length, whereas the actual CNRN examination includes 220 questions, 20 of which are pretest items that are not scored. The self-assessment examination is not required to sit for the CNRN certification examination.